Car rental here in North Cyprus is affordable and common practice and you will have no problem being able to find a company to supply you with a car for the duration of your break, although most companies state a 3 day minimum rental. However it’s not unknown to be able to get a day’s rental in low season! There are plenty of car rental companies to choose from and with modern technology it is easy to book direct online before you arrive. In peak season your choice may be limited by demand…North Cyprus is such an attractive destination for its sun, sea and sand, its places of cultural and historical interest that it’s not only tourist accommodation that is in demand during the long hot summer, but rental cars as well. Be sure to book your car well in advance to avoid disappointment and to get the most choice, the best deals and the most competitive prices. Depending on the season prices do vary with low season usually stated as being November to March, mid season April to June and high season July to October. Many hire care companies will advertise special deals well in advance of the holiday season so it would be wise when deciding on your timetable to book early to take advantage of any deals available. More often than not if you choose to book online you will also receive a discounted price. For the independent travellers your hotel or holiday village will be able to recommend a car rental company to you for sure, as often family members run a care hire company! If you’re renting a villa or borrowing a friend’s holiday home then check on the internet for companies offering the best deals and book before you travel. Major car rental companies like Avis, Budget and Hertz haven’t established offices in North Cyprus yet, so all the organisations offering cars here are small local companies. 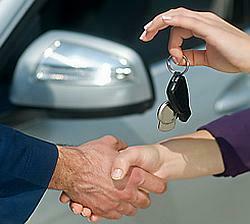 As such you can be assured a personal and friendly service. Most hire companies now run a collection service if you are arriving at an airport in south Cyprus such as Larnaca or Paphos. Normal practice would be to pay the taxi transfer separately and not as part of the hire car agreement, as the hire companies often sub-contract to a regular taxi driver for these pick-ups. Alternatively your car can be ready for you on arrival at Ercan airport in the north, or they can deliver your hire car to an address or pretty much anywhere you choose in North Cyprus and they will collect it from the same spot when you depart. 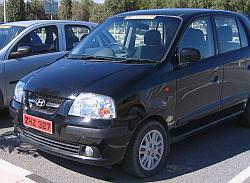 The range of cars available for rent in North Cyprus is very wide and in recent years has become more updated. For those who have visited North Cyprus in the past, the days of the Renault 19 and Renault 12 are sadly numbered! 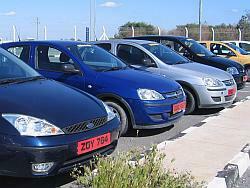 You can now rent the bastions of rental cars such as the Ford Focus or VW Polo or indeed even a top of the range 4 x 4. Consider what your requirements are and if you plan to see all of the castles in North Cyprus it might be wise to consider a 4 x 4 as the roads are a little rough once you head off the beaten track. And make sure you insist on a car with air-conditioning…trust us, you’ll need it! Be sure to bring your driving licence with you of course, and if any other members of your holiday party want to be included on the car rental documents then they too need to bring their licence. Insurance and tax will most likely all be included in the price, but it’s important to note that the minimum age limit for hiring a car in North Cyprus is 25. Most hire car companies also offer 24 hour assistance should you have any problems that you may have with the hire vehicle. If you want to take your hire car over the Green Line to South Cyprus we are afraid you cannot. It’s not illegal as some may otherwise advise you; it’s just that hire car companies in North Cyprus are reluctant to allow their cars across and therefore do not allow it. You can easily spot rental cars here as they have red number plates instead of yellow – this should mean that local drivers take care and give rental cars space as they are most likely being driven by drivers unfamiliar with the road…in reality it means that people will speed up and try and overtake you! Don’t worry, you’ll get used to it! If you come from the UK you’ll be happy to learn that in Cyprus – both North and South – you drive on the left. If you spot a car with Turkish number plates watch out as they occasionally forget and wander to the right side of the road as on the Turkish mainland they drive on the right! It makes for interesting driving! This finishes our general information on car hire in North Cyprus and hope that it helps in your decision making process. Good luck and happy driving!